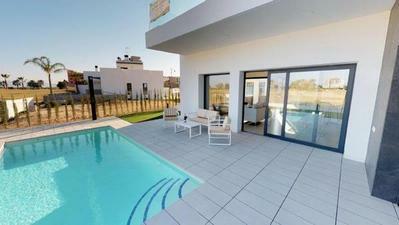 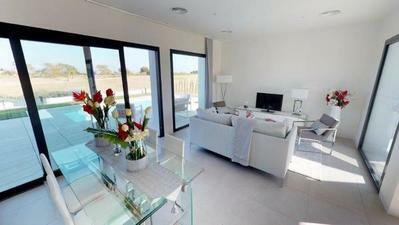 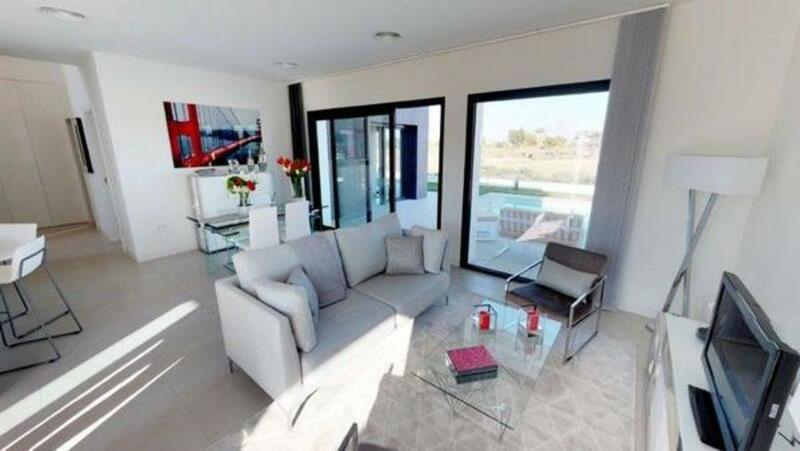 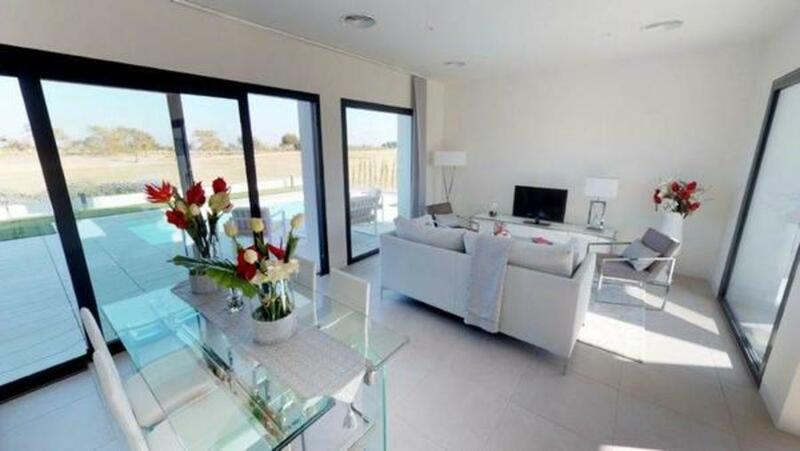 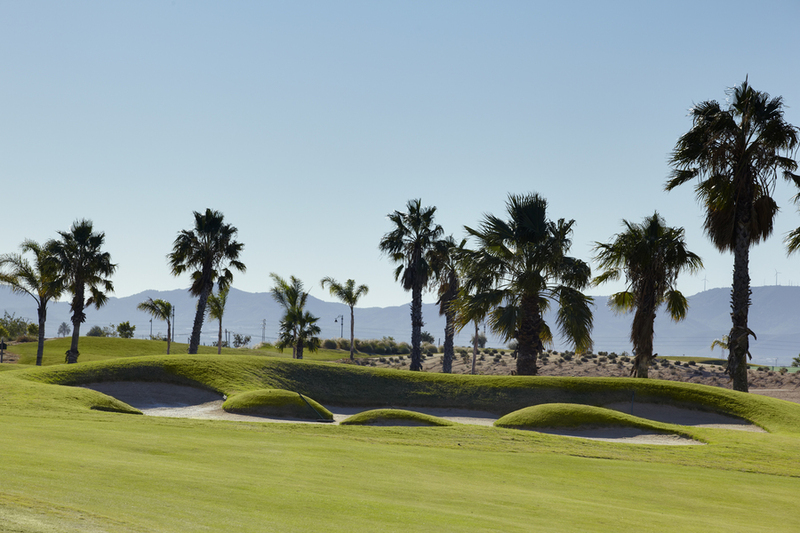 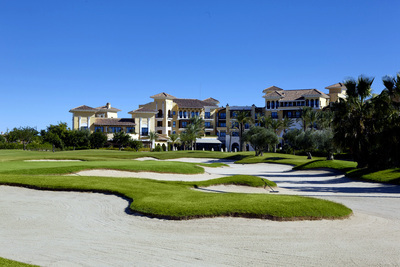 We are pleased to present one of the finest villas available for sale on Mar Menor Golf Resort. 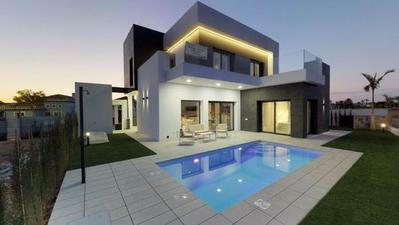 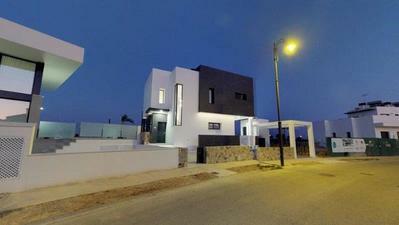 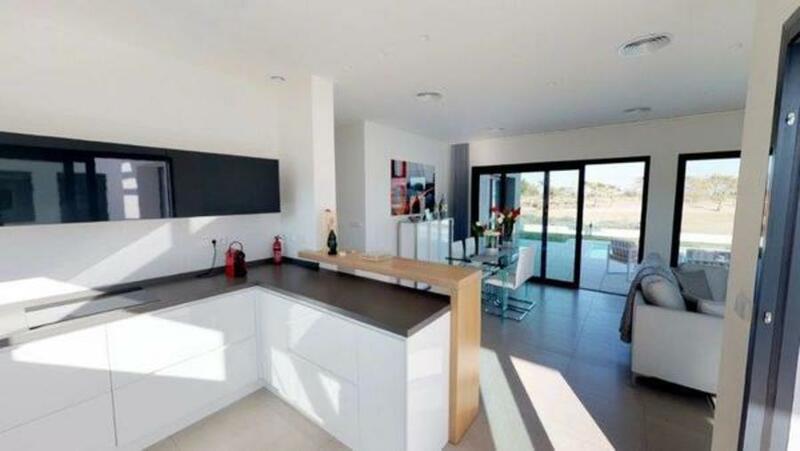 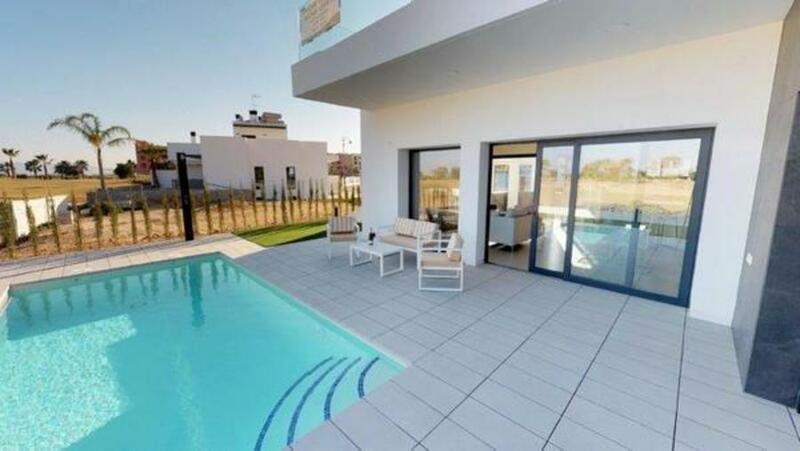 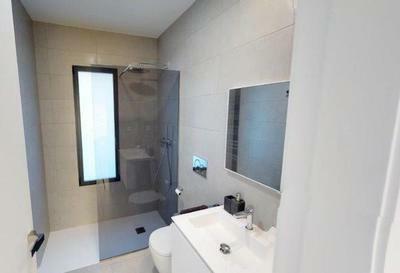 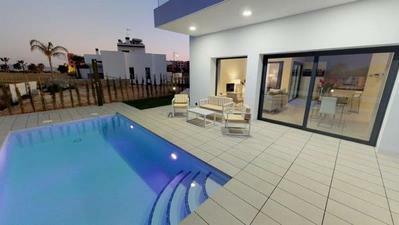 This modern luxury villa was constructed and has been finished to the highest possible standards throughout. 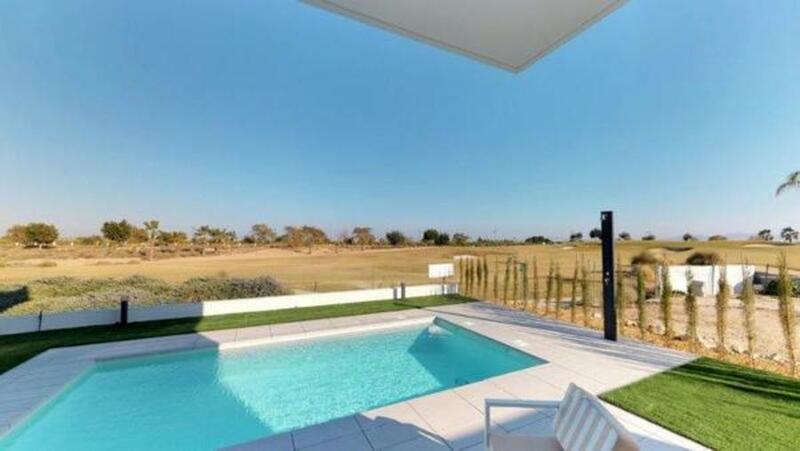 Sitting in its own private plot, with front line golf views of the 7th hole, it enjoys a fantastic position on this sought after golf resort. 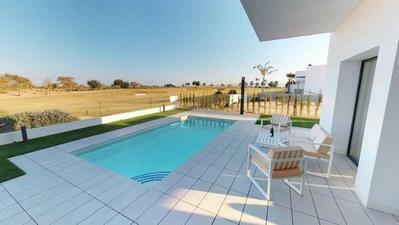 The villa has private off road parking, and a secure video entry system, to access the property. 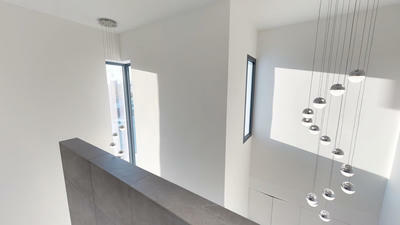 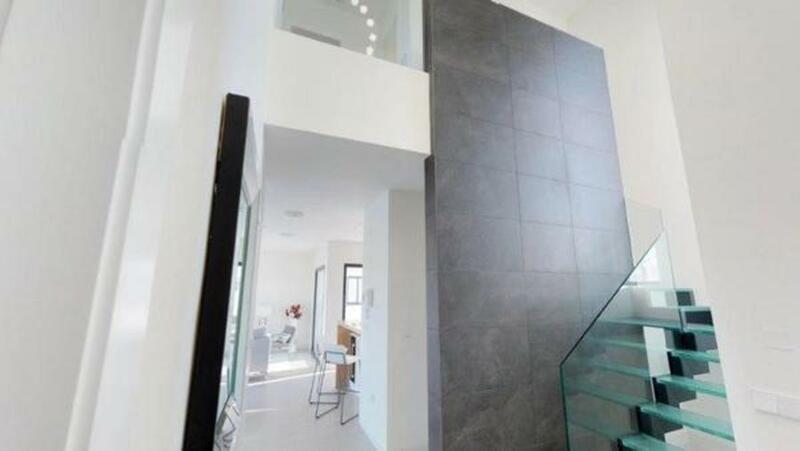 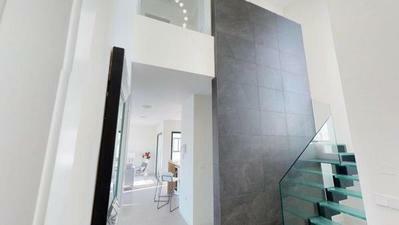 Once inside there is a stunning double height entrance hall, with glass staircase, and feature tiled wall. 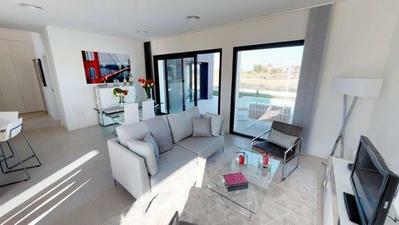 To the ground floor, there is a spacious and modern open plan main living and dining area, with sliding doors leading out to the terrace, gardens, and private swimming pool. 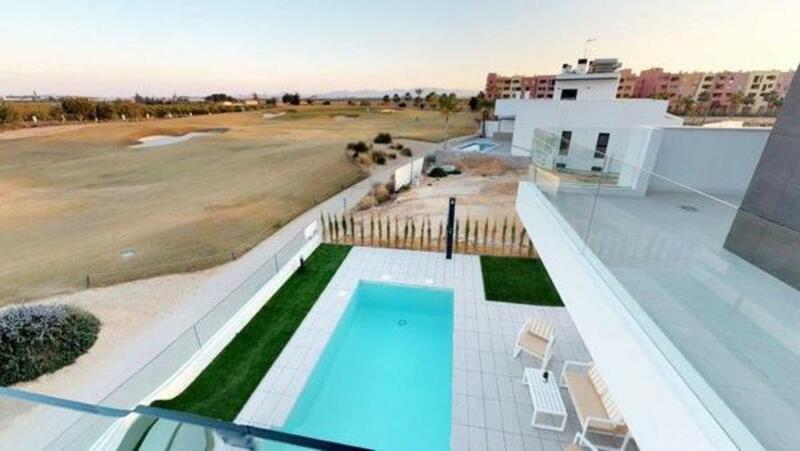 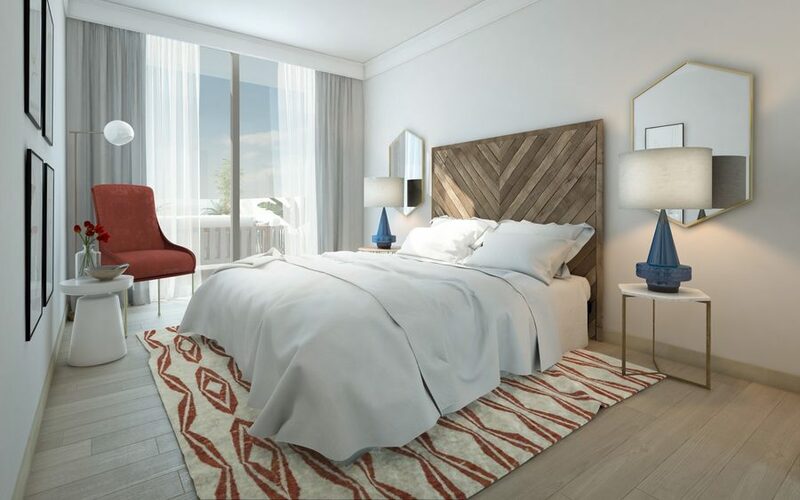 The outside terraces are fully tiled, and there is artificial grass to the sides, and glass panels giving you a great view out to the golf course. 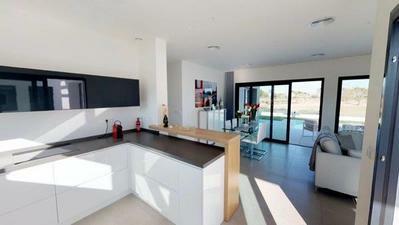 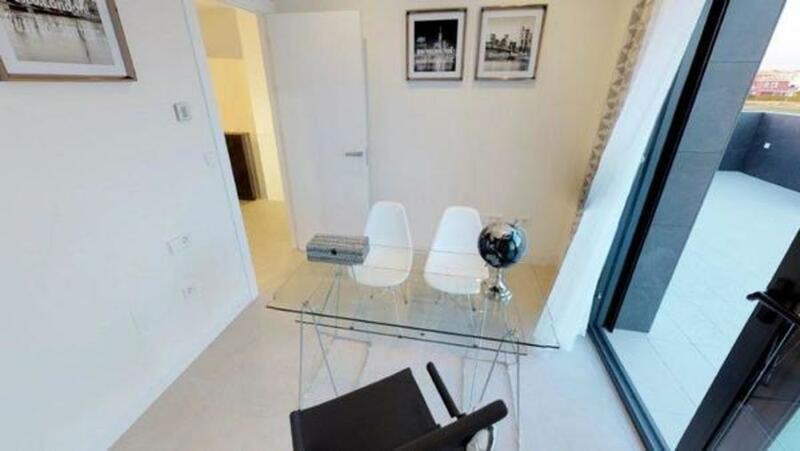 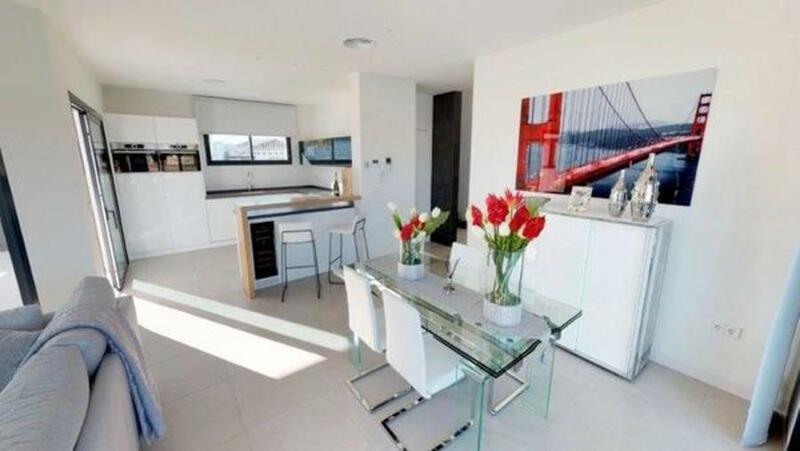 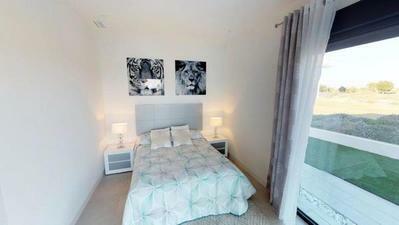 Back inside there is a modern fully fitted kitchen with a range of high-end appliances and a separate utility room. 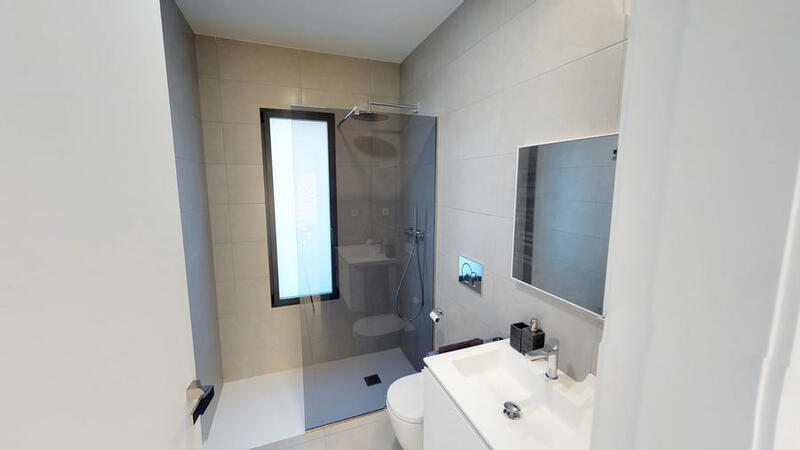 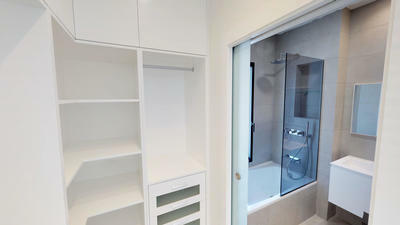 Still, on the main floor, there is a luxurious suite with fitted wardrobes, modern en suite bathroom, and direct access to the pool and garden areas. 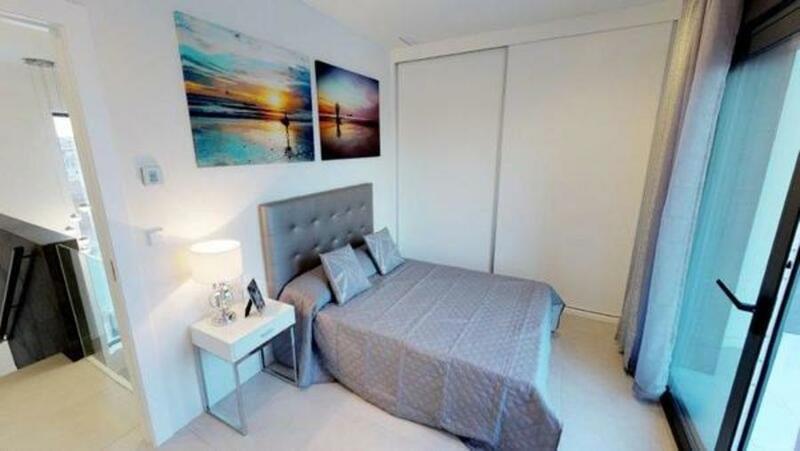 To the first floor there are a further 3 large double bedrooms, 2 again with en suite bathrooms, and the Master bedroom, having an additional dressing area. 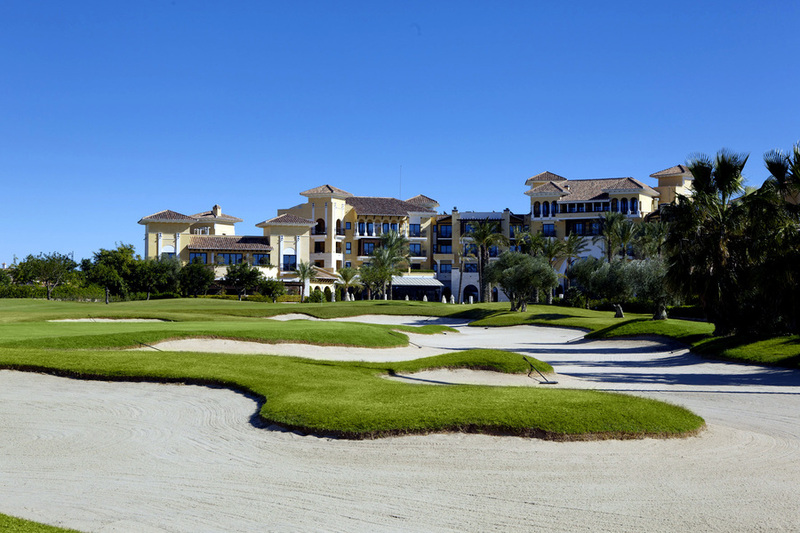 There is also the first-floor terrace, again with glass balconies, giving you a fantastic view over the pool, gardens, and golf course. This really is a unique and stunning home and it must be seen to be appreciated.